At Presidential Pools, we understand that choosing a swimming pool contractor is a very important decision. We know there are many swimming pool dealers out there which is why we believe when you hire a swimming pool company to build your custom swimming pool, you should know what that company is all about. Our founder, Tim Murphy, started Presidential Pools in 1991 with a little more than a dollar and a dream. 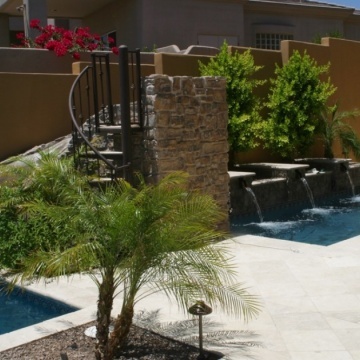 He had spent his previous ten years in the pool repair business which provided him amazing insight into the world of swimming pool designs and installation. While Tim saw some custom swimming pools he liked, he saw many more in ground swimming pools that needed improving. Tim believed he could build better swimming pools and landscapes. Presidential Pools' consistent year-after-year growth in Arizona proves he was right. Strong testimonials, quality of work, and the way we approach our business are three reasons why we should be your swimming pool contractor.